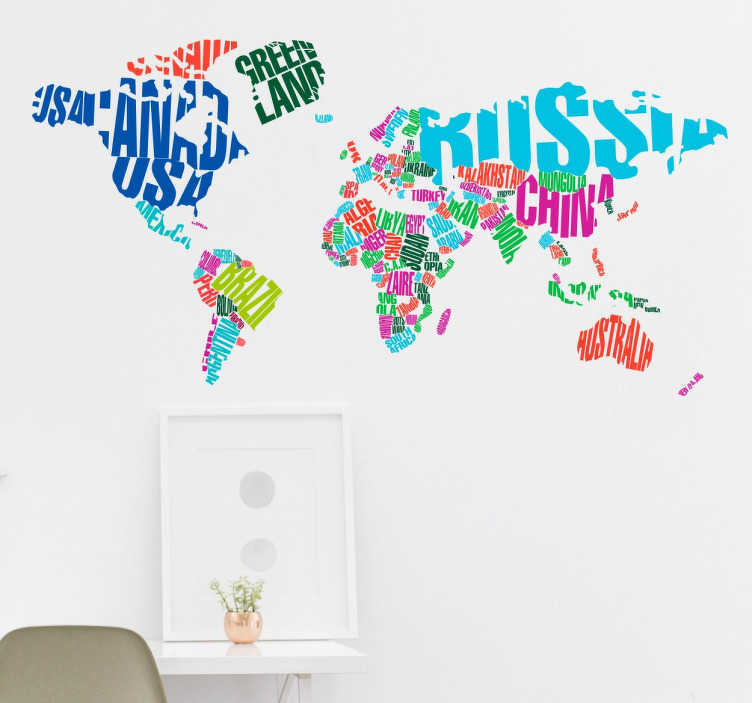 From our wide range of world map wall stickers, a colourful decal with the countries of the world written in a creative style in their location on the map. If you love to travel and want to figure out what country you are going to next, then this is the perfect design for you. The world map wall decal comes in multiple sizes. Made from high quality, anti-bubble vinyl and is easy to apply.